Clean, fresh drinking water is something that we have access to every day. But for millions of people on the planet, clean drinking water is something out of reach. 783 million people do not have access to clean water and nearly 2.5 billion people do not have access to adequate sanitation. 6 to 8 million people die every year from disasters and water-related diseases. 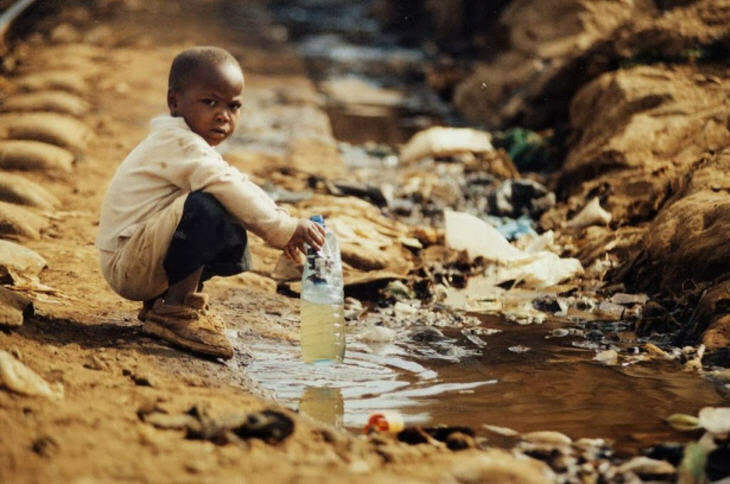 To help with this problem, Make Fresh Water is a website that is working to provide clean drinking water to those living in third-world countries who do not have access to sanitary water. Make Fresh Water has created a 3D printable fresh water maker. The Make Fresh Water project was created by Cem Schnitzler in the hopes that people would be able to 3D print the fresh water maker and give them to help people in third-world countries. The 3D printed fresh water maker consists of three parts: the body, the hopper, and the cap. To use the fresh water maker, fill dirty water into the body and set the funnel on top. The body of the water maker will heat up, creating a greenhouse effect. Once the temperature reaches 85º C, the water begins to vaporize and the steam collects on the walls of the funnel. Due to the special shape of the funnel, the condensed water flows into the collecting pool. The distilled water is now suitable for drinking. Schnitzler suggests adding salt to the water to provide minerals. The files are available for free on Thingiverse. The body of the water maker must be printed in black to absorb enough sunlight to heat the water to a high enough temperature. The funnel needs to be transparent. The plastic used to print the parts must be UV-resistant and temperature-resistant up to 90º C.